In theory, our food should provide all of the nutrients and energy we need to function at our peak potential. In reality, most food today is full of calories, yet empty of nutrition, creating an overfed and undernourished society. Ongoing assessments on over 17,000 people by the National Health and Nutrition Examination Survey (NHANES) show that when it comes to fruits and vegetables, over 75% of the US population does not meet the minimum recommended intake. And what about the fruits and vegetables people do eat? An increasingly stressful lifestyle places increasing nutritional demands on our bodies. We live in a stressful culture and the demands can be greater than our nutrient reserves can handle. Environmental stresses also take their toll on our bodies. Organic foods are an important part of the solution. 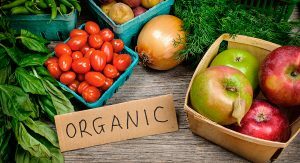 It is now increasingly evident that foods grown with organic practices are better for you. Not only will the food be non-GMO and free of chemical pesticides and herbicides, it will also have a better nutritional profile. Organic foods also taste better. Upon eating an organic potato, apple or tomato, people are immediately struck by how much better those foods taste. What most don’t realize is that “taste” is comprised of nutrients. 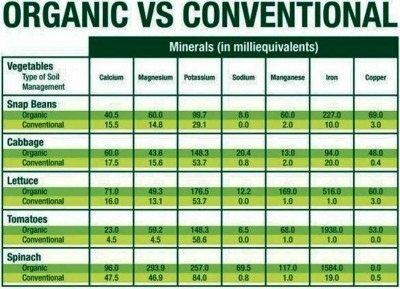 Organic tastes better because it is better for you. Research from Rutgers University revealed a major difference in the nutritional profile of produce conventionally grown compared to produce organically grown. 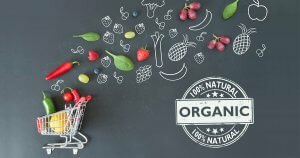 While organic foods typically cost more, they more than compensate with their superior nutritional value. When cost is a factor and you are making choices about which fruits and vegetables to “buy organic” consider the “dirty dozen” list compiled by the Environmental Working Group (EWG) as your shopping guide to help reduce your exposure to chemical pesticides and herbicides. When food is not enough, is supplementation the answer? Yes! We need supplementation. It just has to be the right kind. 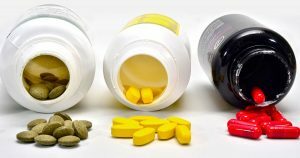 Research of people taking synthetic vitamin supplements has shown they really don’t make a positive difference and in some cases cause harm. No such negative effects have ever been reported with whole food concentrates. My wife and I used whole food supplements for our children and a mostly whole food diet. We chose to not follow the recommended vaccination schedule and our children attended public school. Both of our children rarely were sick or missed school. They were 19 years old before they had their first prescription drug—they got ill in college. Whole food supplementation is essential since food supplies all of the associated nutrients, enzymes and cofactors needed for your body to use the nutrients properly. Synthetic nutrients are nearly always in a form that is not natural and they lack the associated substances necessary for best usage and good health. Today, all my family members use, and I strongly recommend, the whole food supplements of Touchstone Essentials. 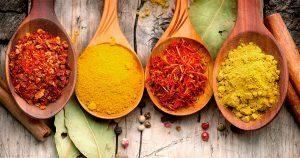 In the age of industrial agriculture, our unique and powerful body systems require complete nutrition. Touchstone Essentials offers the completeness of whole food nutrition to meet our daily needs and to build and maintain strong healthy bodies. He also works with the sports medicine team of a professional baseball team, writes a blog on health and wellness and serves as executive minister at his church. The views expressed here are those of Dr. Hestdalen, and he has not been compensated in any way for this article. The information in this article is intended for educational purposes only. These statements have not been evaluated by the Food and Drug Administration, and any products referenced are not intended to diagnose, treat, cure or prevent any disease. Just the good inside.